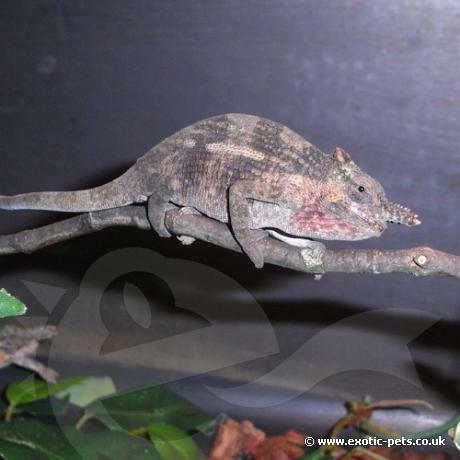 The Mount Kilimanjaro Two Horned Chameleon is among the smaller species reaching approx. 20cm. Males have two horns, a higher dorsal crest and are more colourful.